Buying a compact SUV shouldn’t mean having to sacrifice driving pleasure in the name of versatility, and fuel economy in the name of interior space. If we are buying a compact SUV, it’s because we don’t want to have to compromise. 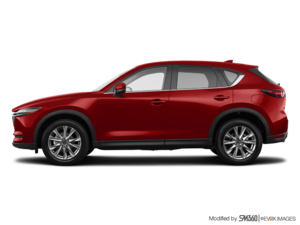 The 2019 Mazda CX-5 is the perfect compact sport utility vehicle when we want it all. Starting at $27,850, the new 2019 Mazda CX-5 brings it all to the table. Styling, performance, fuel economy, versatility, safety… It’s all there. Here are three things to know about Mazda’s impressive compact SUV segment which has won numerous awards over the last few years. 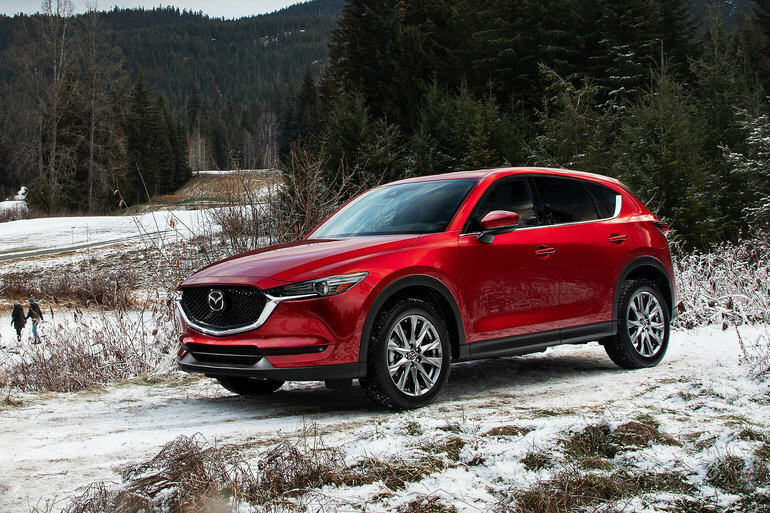 The 2019 Mazda CX-5 has quite a lot of engine options to choose from, especially this year. Things have changed compared to previous CX-5 model-years, however. Previous years offered a 2.0-liter, four-cylinder base engine with 155 horsepower. That engine is now gone. It has been replaced by the 2.5-liter SKYACTIV engine with 187 horsepower and 186 pound-feet of torque which was optional in previous years (except on the GT). The new kid on the engine block is the 2.5-liter turbocharged four-cylinder engine found in the all-new Signature model. Turbocharged and in charge, it delivers 250 horsepower and 310 pound-feet of torque. You can look, but you won’t find a more powerful engine in this segment. Regardless of which engine you ultimately choose, you will be amazed at how slowly your fuel gauge goes down. The entry-level Mazda CX-5 has an average fuel economy rating of 9.7 liters per 100 kilometers in the city and 7.8 liters per 100 kilometers on the highway. The AWD model averages 10.2 liters per 100 kilometers in the city and 8.2 liters per 100 kilometers. Although fuel economy numbers aren’t available for the Signature model, we do know that if you opt for the Mazda CX-5 GT you will also get cylinder deactivation which shuts down have the engine’s cylinders when full power isn’t needed. Fuel economy thus improves by about 10%. The 2019 Mazda CX-5 is packed with features that include Apple CarPlay, Android Auto, automatic braking, blind spot monitoring, rearview camera, and push-buttons start. You also get Mazda’s exclusive G-vectoring control system. Contact us today at Destination Mazda to learn more!